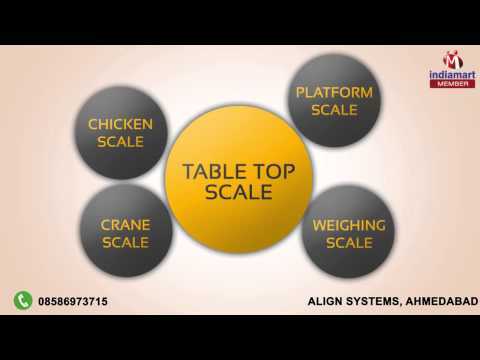 Welcome to Align Systems, established in the year 2011, we are he leading manufacturer, supplier, distributor, wholesaler, trader and retailer of Electronic Weighing Scales such as Table Top Scale, Platform Scale & Weighing Scale. We also hold the position of a reputed service provider of domain that provides remarkable services in the sphere of AMC & Repairing Services. All the offered facilities & services are used by a large number of customers for the purpose of weight measuring of industrial tools & components. We source raw products only from the reliable resources that only provide top-grade materials made by using advanced technology. As a result, our products have become most popular in the market & most demanded for their international quality standards. Additionally, we are the owner of a spacious production house where all the activities are carried out in an organized way. The each product is checked duly under the keen eye of experts on the basis of quality parameters laid down by the industry. The entire process assures that the procured range is delivered to the clients end in a timely manner and only the best quality products reach to our customers.